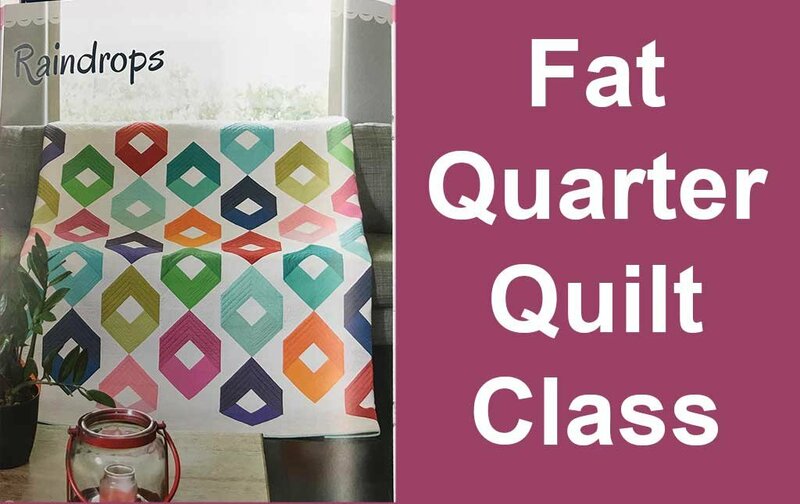 From the Fat Quarter Style book we will be making the pattern "Raindrops" quilt with as few as 18 fat quarters for a crib size. A fat quarter measures approx. 18 X 22. You will learn how to piece Flying Geese and the Raindrops unit together to get the effect shown in our photo illustration.